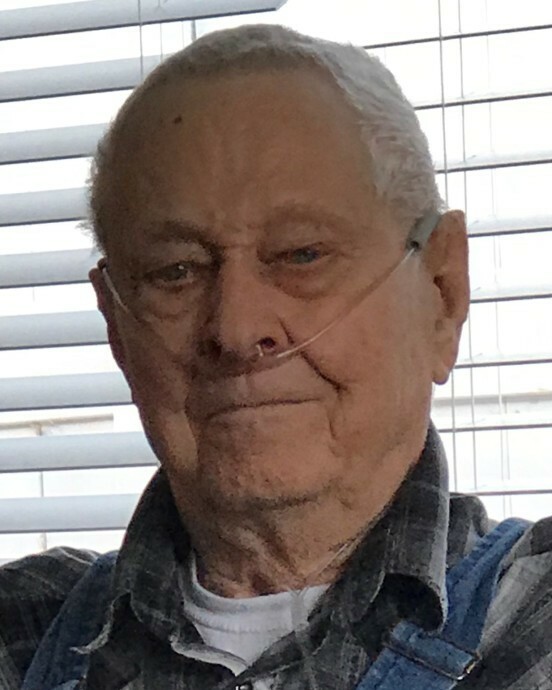 Charley John William Arent passed away January 28, 2019 at Good Samaritan Village in Loveland, Colorado, he was 94 years old. Charley was born March 13, 1924 in Culberston, Ne to Fred and Elizabeth Arent. He grew up on the family farm south of Stockville, Ne and graduated from Stockville High School in 1943. Upon graduating, Charley served in the Navy from 1944-48. After his military service he returned home to Stockville to farm on the Arent family farm. Charley married Carol Hanes on May 23, 1953 in McCook, Ne, they celebrated their 65th anniversary last year. They had 4 children Randy Lee, Charla May, Paul Frederick, and Kent Ellsworth. Chuck and Carol continued to farm and raise their family in Stockville until 1971, when they moved to Red Feather Lakes, CO. He loved living in the mountains and Red Feather, in his cabin, next to the fire place, was his favorite place to be. Charley started his own business, “Arent Construction”, building and remodeling 100’s of homes in the community and surrounding area. He loved working with his hands and was always wanting to learn something new. He never stopped learning. As he got older and could no longer build homes he turned his interests to woodworking projects such as clocks, jewelry boxes, and smaller items like wooden pens. Charley also loved to work with stained glass and made many beautiful projects through the years. Earning him the title of Red Feather’s “energizer bunny” he just never stopped! Charley and Carol were always willing to help others and known by the entire community. There was nothing that they would not do for a neighbor. From giving rides to town, collecting mail, draining pipes in the winter, house hold fix- it projects, and serving anybody who stopped by a meal. They moved to Good Samaritan Village in Loveland in 2015, where he had no trouble making new friends and staying active! While living there he continued working on his hobbies and would not miss a physical therapy appointment or bingo. He was preceded in death by his wife Carol, their beloved son Kent, his parents, five brothers and three sisters. He is survived by his sons Randy (Janice) Arent, Paul (Candice) Arent, and daughter Charla Werkmeister, grandchildren Nick (Catherine) Werkmeister, Emily (Andy) Anders, Katie Werkmeister, Kelvin and Brandon Arent, great grandchildren, Jaxson, Oliver, Leo, and Sunny Anders, one sister Onie Greenlee, nieces, nephews, extended family and MANY friends. Memorial Services will be at Good Samaritan Village, Loveland on February 11, 2019 at 10:00 am. Burial will be in Maywood with graveside services on February 16th at 11:00 am with a meal at the community hall to follow. Memorials are suggested to the Maywood Community Hall.